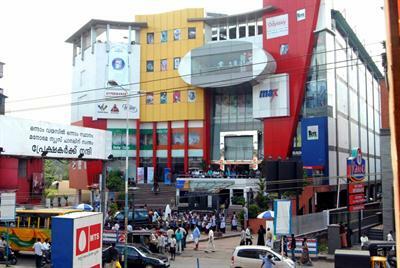 Focus mall is a Shopping mall located in the heart of Calicut city. The mall is having six floors having a total area of 2.5 lakh square feet. The parking facility of Focus mall is also excellent. The vehicles can be parked in two floors on underground and top floor having a total capacity of 300 cars. The shopping mall contains all the leading brand products. Self service food court and restaurant in top floor is another specialty. Lifts and escalators are available for customers which make shopping friendly and healthy. Focus mall is also a centralized air-conditioned mall. View point is also available in top floor where visitors have a chance to see the entire Calicut city. 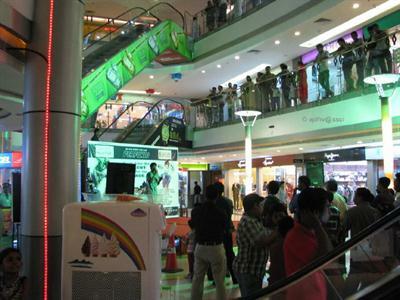 Focus mall is the first ISO 9001:2008 certified mall in Kerala. Wide varieties of leading branded products are available in Focus mall. Some of the branded products are as follows. 1. Bossini- Shop No. 207/209, Phone: 0495- 4021313. 2. Spykar Shop No: 205-206, Phone: 0495-4040909. 3. Signature- Shop No: 111-112, Phone: 0495-4024222. 4. Urban Ethinic- Shop No: 109, Phone: 0495-4099337. 7. Jockey- Shop No: 314, Phone: 0495- 2727110. 8. MAX- Shop No: 213, Phone: 0495 - 4021017. 9. Pepe Jeans, Shop No: 110, Phone: 0495-4099726. 11. Damas, Shop No: 118. 12. Zapp- Shop No: 416, Phone: 0495- 4021108. 1. First head toward Rajaji Road west on Mavoor Road Pass by Computer Gurukulam. 2. Take the 2nd left toward SK Temple Road. 3. Turn left onto SK Temple Road Pass by Positive Systems. 4. Turn left to stay on SK Temple Road Pass by Vivekananda Travels. 5. Turn left onto Rajaji Road Destination will be on the left. 1. Turn right onto Old Railway Overbridge. 2. 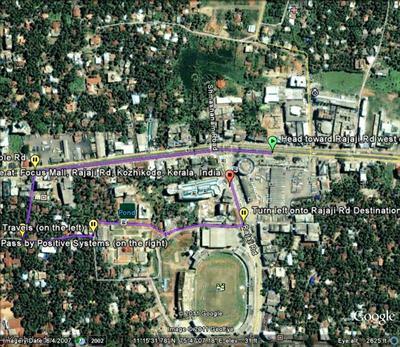 Turn right at Hotel Deewar onto Palayam Road Pass by Komala Hotel . 3. Continue onto MM Ali Road Pass by Mughal Tourist Home. 4. Turn left at Kallada Tours and Travels onto Ram Mohan Road Pass by Malabar Gold. 5. 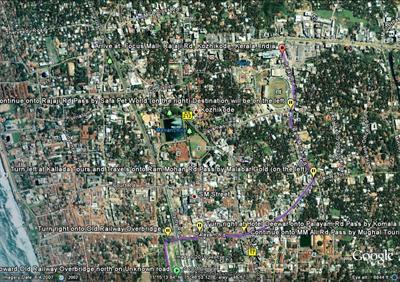 At Ponthanam Junction, continue onto Rajaji Road Pass by Safa Pet World (on the right) Destination will be on the left.